Wind Pro Wall-80 comes with a five leaf SAN blade fan that ensures wider air delivery at homes. 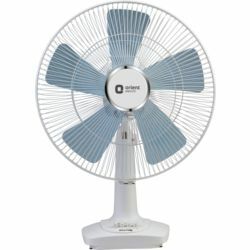 The fan has a unique streamlined body with blade design that ensures better air delivery with less noise. The elegant & sleek design of the fan easily matches one’s modern home décor, thereby providing a premium look to their homes. 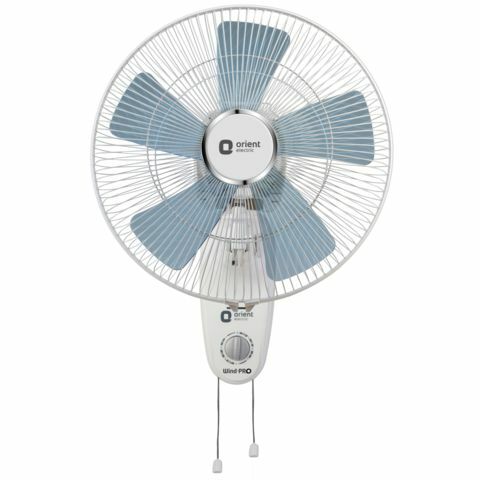 The strong and robust motor of the fan ensures the fan’s reliability over a long period of time. The motor operates at a rated speed of 1300 RPM and ensures an air delivery of 95 cubic meters per minute(CMM) with 85 Watts of moderate power consumption. 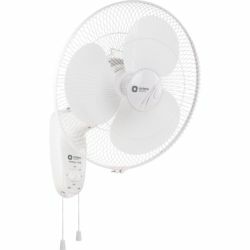 Wind Pro Wall-80 comes with a five leaf SAN blade fan that ensures wider air delivery at homes. 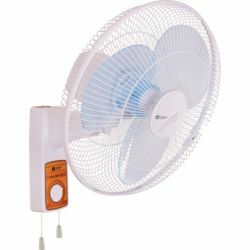 The fan has a unique streamlined body with blade design that ensures better air delivery with less noise. The elegant & sleek design of the fan easily matches one’s modern home décor, thereby providing a premium look to their homes. 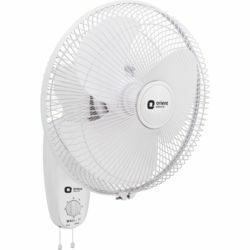 The strong and robust motor of the fan ensures the fan’s reliability over a long period of time. The motor operates at a rated speed of 1300 RPM and ensures an air delivery of 95 cubic meters per minute(CMM) with 85 Watts of moderate power consumption.